I have made it a goal to do as many classes this year in lets face it as I can, to make it a priority in my life to actually attempt the class each week. I've done my first two weeks so far, and felt ok with the work, so I'm doing well in that aspect so far. the mediums so far have not been my favorite (graphite and pen), so I have not been able to put my heart and soul into the work and said "good enough" at about an hour or so in for each. in week 1 I did ok, but had a few errors and wasn't able to erase and didn't have it in me to keep going, so it doesn't really look like my reference photo. the more I look at it the more unhappy I am with it. Joan had us using pens in both hands and doing a loose drawing. apparently I like loose and free, cause I love how this turned out! I also started another new painting that gave me only a little trouble at the end. Portraits are getting easier for me but the pose was a difficult one for me, so I struggled a little. It still makes me happy to know that this painting didn’t exist before I started painting it and it’s not bad. It gives me hope. 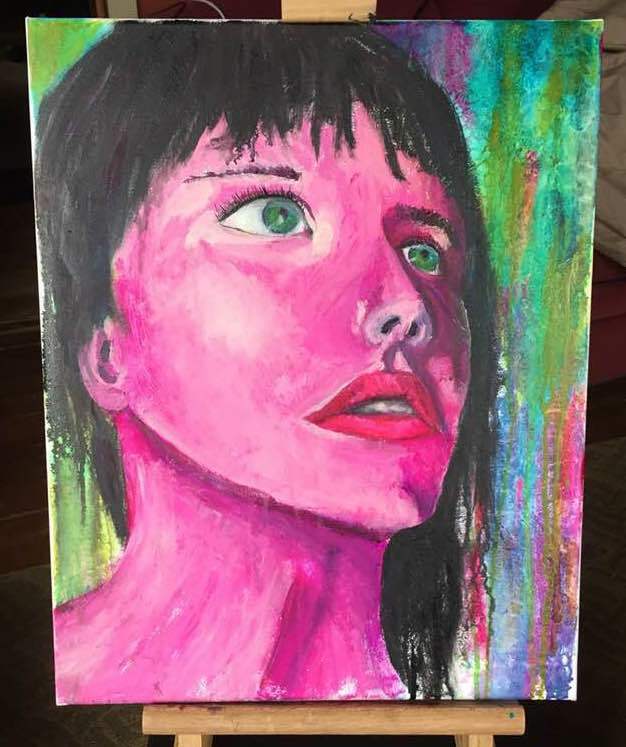 I’ve named it “She believes”, because to me she looks hopeful for herself, and the way she’s looking up makes me think she’s looking forward to something. She feels strong and determined to me. and thats what I needed to paint!